Bring up the subject of Paris, France to a mixed group of men and women: men will say they liked the food and that the wine was cheap, but everything else was expensive; women will ‘ooh’ and ‘aah’ and get a dreamy look on their face that seems to take them back to a magical kingdom in a faraway land. Question them further and women will name sites and streets and shops and hotels. Things become mystifying as they try to explain what “The City Of Lights” means to them. It’s on their faces and it comes from their hearts. I’m one of them—I couldn’t be ’sensible’ or ’matter-of-fact’ about Paris if I tried. 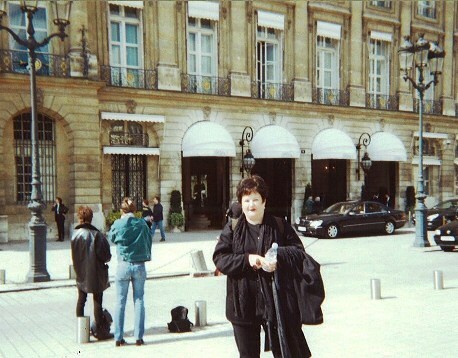 As a woman of a certain age, I looked forward to traveling to Paris with my college-age daughter, Solana. It had been about 30 years—Solana, was conceived in Barcelona—since I last saw Paris. This time I looked forward to being there without my complaining husband, who thought the prices were ridiculous and the people rude. This time I got to “follow the yellow brick road” and take things as they came, do things frivolously. Afterwards Solana would go back to her master’s studies in County Cork, Ireland and I would go on to pre-Phd studies at Oxford in England. With my husband tucked happily away in California, Solana and I knew no bounds. I wonder, is it husbands who create the boundaries when you travel or do you just let them? We arrived, with too much luggage, via train from Madrid in a cold and icy snow storm. But we would need all those things since we would so much time later in Ireland and England. It was 5 a.m., we had with no French francs, and all the banks and cashier changers were closed. We needed money for the taxi ride to get to our small hotel; I was just ignorant enough not to, as a savvy friend suggested later, get in a cab and go to my hotel and present my problem to them. He took me directly to an open cashier-change kiosk. When I turned to thank him, he had disappeared. Hmmm…I will never forget his angelic face, nor his kindness. I got my francs and retrieved my sobbing daughter, who by now was freezing and tired. We took off in a nice heated cab. Solana and I held hands and warmed each other with smiles, so thankful we were IN PARIS as we sped to our hotel. When traveling—and I think this has helped me many times—I immediately put the difficult moments behind. I believe it’s always best to learn some of the basics of the language of the country you are staying in. It can make all the difference in the world when you enter a strange country. It’s no fun to get snubbed by everyone who doesn’t want to talk as you struggle to make your needs known. Guide books all seem to say that English is commonly spoken in this or that country but I haven’t found that to be true. After all, you are talking to a waiter or a cab driver, not the prime minister. And though the taxi driver and waiter do come into contact with foreigners quite often, they seem to know only basic words and don’t have the patience to listen to you. A few native spoken words will get you far. So take a little phrase book with you and use it. 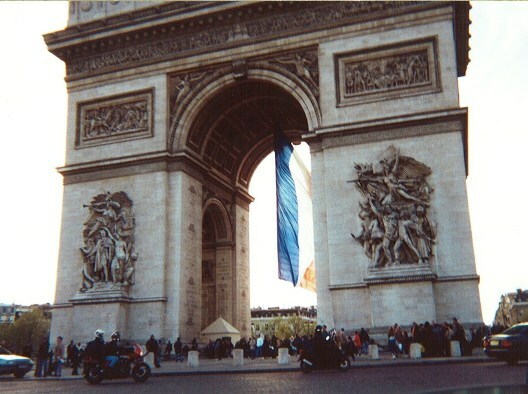 I have been to Paris four times, each time for about a week. This time, the weather being so cold and snowy, we decided on shopping on the famous Rue du Faubourg-St-Honoré, and spending time at two great museums we had always wanted to visit: the Louvre and the Musée D’Orsay, where our passion—impressionism—was on display. Solana and I were dying to see the Ritz, a beautiful and glamorous vintage hotel, almost a museum as you enter its long hallway. We wanted to look around and then get pastry and coffee in their small restaurant, where there was a classical piano player. Everyone looked upright and tense, and definitely elegant. As an American I was not used to such formality for a lemon tart and decaf. Nor was I ready for the $80 bill for 2 desserts and 2 coffees, but I paid and pretended it was nothing unusual for me. I left a basic tip. Outside Solana and I decided this was not the Paris we fit into. But I must say, it was an experience to be there with my daughter and a memory Iwe’ll never forget. Everyone is pulled a different way in Paris. Some love the jazz clubs, others, the famous fashion houses and hair salons, and the endless sites that are so French. Sometimes even a class in French at the exclusive Sorbonne. You can mix and match, and a first class guidebook will help to meet your needs. Take a look around the internet or the Barnes and Nobles site before you go to buy a guidebook in a book store. Eyewitness Guides with their history, numerous interesting details, and lovely pictures, are great, as is Knopf. Paris lends itself to a string of moments that come together only after you’ve left. While you’re there, you’ll want to stay wide open to the pleasures it has to offer. 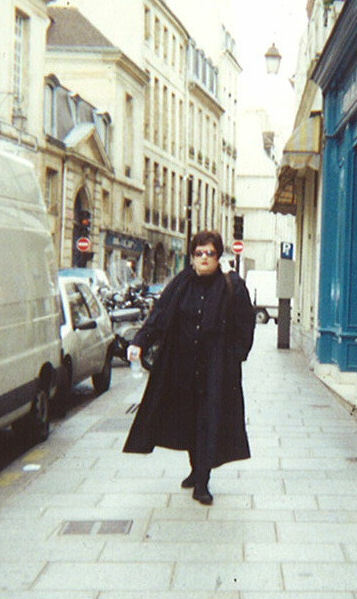 In Paris, you need do nothing more than walk around and interesting things will appear in your path. We must have been very cold or were thinking we’d get back to the site at some point in the next few days (we didn’t). So you see, when they say you will always return to Paris, the City of Lights, I believe it is because unless you live there for a while and are a decent French language speaker, you just can’t see or do all the wonderful historical, elegant, and yes, a trifle expensive things this magical city has to offer. And maybe, just maybe, you have to be a woman to really appreciate the magic of Paris.